Resort Check Presenters Ready to Ship are made of imitation leather material, padded and heat sealed for a clean look. Complimentary “Thank You” stamped in gold on inside right pocket of guest check holder. 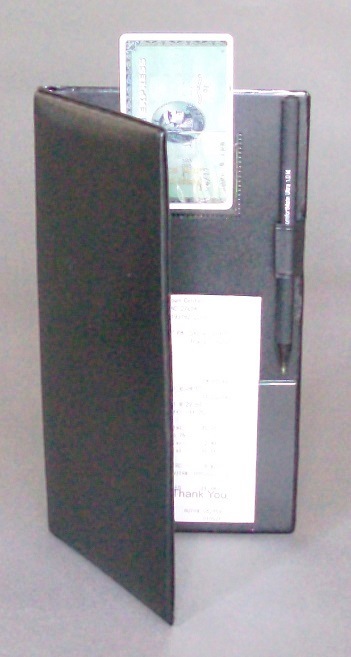 The inside has two clear vinyl interior diagonal pockets to hold guest check/cash. Guest Check Presenters include a Credit card pocket with “Place Your Card Here” gold foil stamped and a Pen Loop. 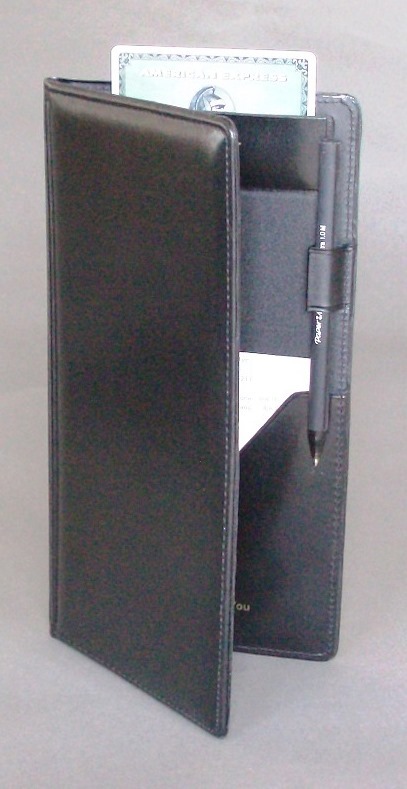 In stock and ready to ship in black only and maybe custom decorated with your restaurant Logo. Resort Deluxe Check Presenters, made of imitation leather material with padding, heat sealed and sewn for an elegant finished look. Complimentary “Thank You” gold foil stamped on inside right pocket of guest check holder. 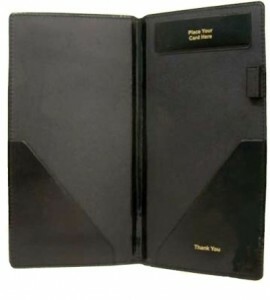 Inside includes two diagonal pockets of matching faux leather to hold guest check/cash. 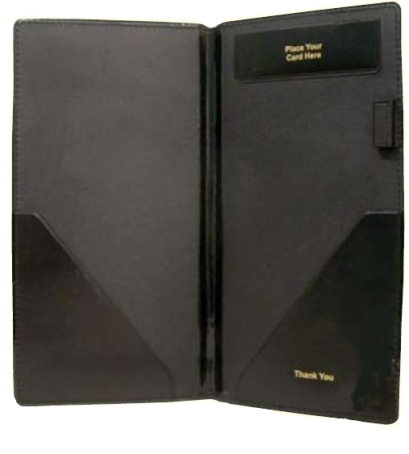 Additional features include a Credit Card pocket in matching leather material with “Place Your Card Here” gold foil stamped and a Pen Loop. 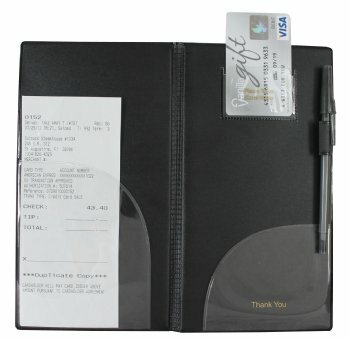 Custom decorated with your restaurant Logo available.